Batteries ship from various warehouses and usually deliver within 7 Business Days. 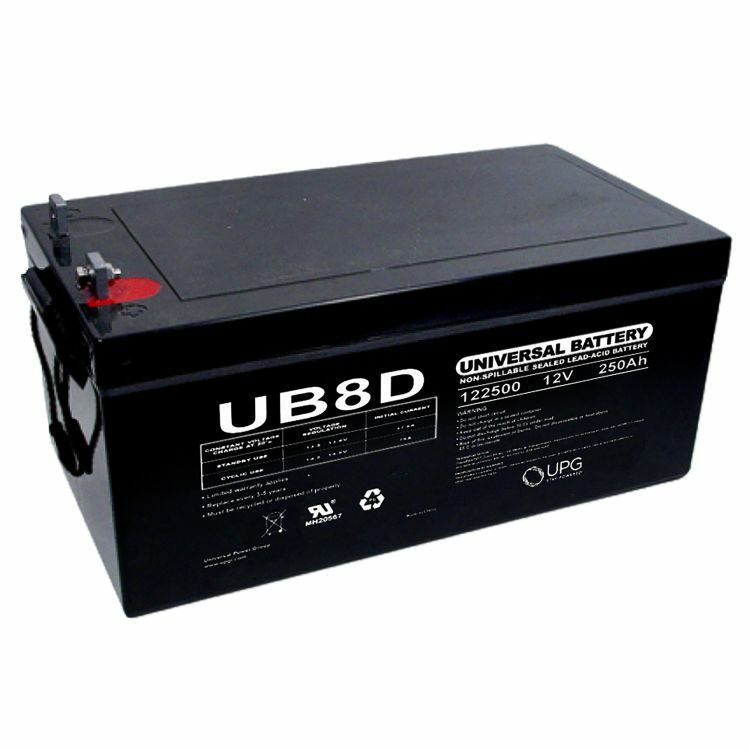 This Universal 8D battery is made to BCI 8D specifications as a direct replacement. Uses include RV, Marine, Motorhomes, Standby Power, and other high draw applications. Do you own the UB8D-45964? Please, tell us what you think about it. It helps us provide you with better products. Please note that it may take up to 72 hours for your review to appear.